Chop2Pot Plus- This latest version of the design employs the same proven 'living-hinge' technology. 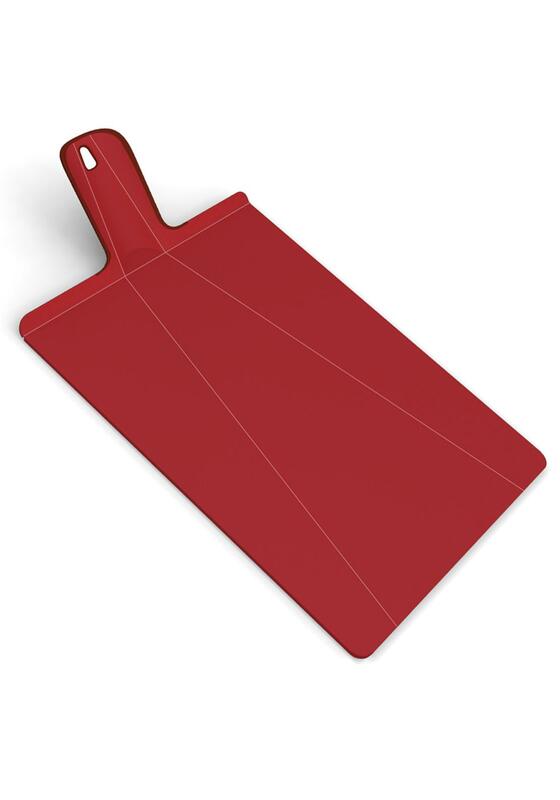 Laid flat, it provides a durable, knife- friendly cutting surface for all types of food preparation. 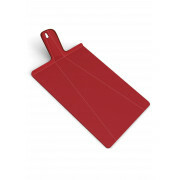 When the handle is squeezed, the sides of the board can be folded into a chute down which chopped food can be neatly guided.